3. Dickins, F. V. Translations 1866~1906. The earliest complete English translation of Hyakunin Isshu, 1866, must be considered a probable source for work by several early 20th century poets. Portrait of F. V. Dickins by an unknown artist. Dickins’s Hyak nin is’shiu, or, Stanzas by a Century of Poets, Being Japanese Lyrical Odes (London: Smith, Elder, 1866) is the earliest complete English version of the Hyakunin isshu [Ap], and so must be considered a possible source for much of the work noted here that is related to that collection (though see also 20), including that by Aldington (BB15f), Binyon (BC20i), Crapsey (see CA4), and Lowell (BI4e, 5, 8v). 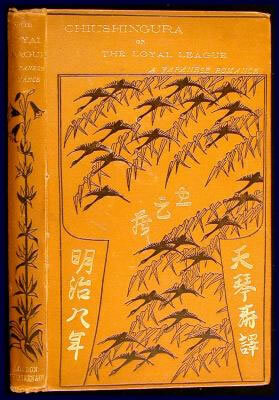 Dickins’s later Primitive and Mediaeval Japanese Texts (2 vols., Oxford: Clarendon, 1906) was widely read and includes selections from the Manyôshû (Ap), Kokinshû (Ap), Hyakunin isshu, and the nô—including a second English-language version of TAKASAGO (see also BK88d and D11)—and is among the works on the nô Pound cites in introducing his own (BK13a, though see BK59b). 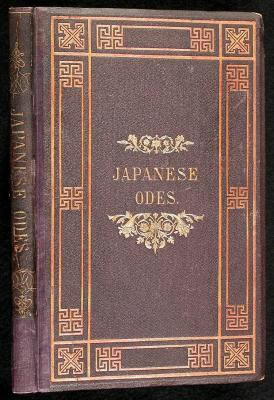 Dickins’s Chûshingura [Ap], or the Loyal League, a Japanese Romance (Yokohama: Japan Gazette, 1875; New York: Putnam, 1876) seems not to have been as widely known as his other translations, but along with Mitford’s later version (see 4) must be considered a possible source for Masefield’s English adaptation of the tale (CA5). Blunden (BD47) mentions Dickins’s translations in passing, and their importance in helping shape the Anglo-American and Irish literary understanding of Japan is discussed by Hall (A16), Schwartz (A18), and Teele (A24). See also CC7.